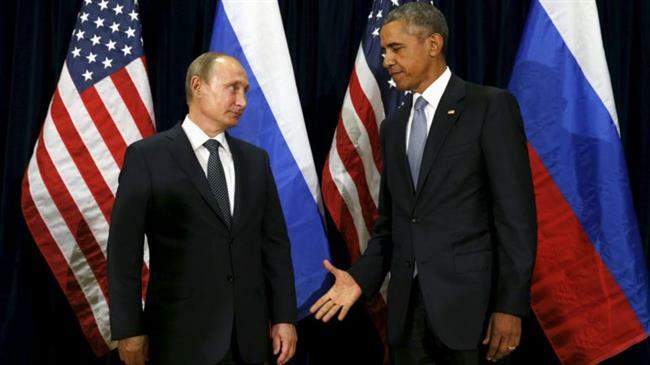 Washington(ANN)-US President Donald Trump reiterates his stance towards the recent reelection of his Russian counterpart, Vladimir Putin, arguing that former President Barack Obama had similarly congratulated the Russian leader in the past. Trump said in a tweet on Wednesday that he is standing by his decision to call Putin after his latest victory in the Russian presidential election, a move that came under fire by some of the US president’s critics. “I called President Putin of Russia to congratulate him on his election victory (in past, Obama called him also),” said the president. Trump further said that the fake news media wants him to “excoriate” the image of President Putin. Since the 2016 campaign, Trump has repeatedly used the term “fake news” largely for any coverage criticizing him or his allies. Trump further undermined his predecessors in dealing in Moscow, adding ta Russians can help with the US issues in the international arena. After the call, Trump told reporters at the White House that he was expecting to meet him soon. The call came not long after the US government imposed new sanctions on Moscow for alleged efforts to meddle in the 2016 presidential election, which yielded President Trump. The president and some of his closest allies are of interest in the investigation launched to also trace possible collusion with the Kremlin. Moscow has repeatedly rejected any meddling in the US 2106 presidential election.